A naturally soothing blend of pure lavender essential oil, traditionally harvested french sea salt and powerful epsom salt leaves your skin beautifully fragranced and your mind wonderfully calm. 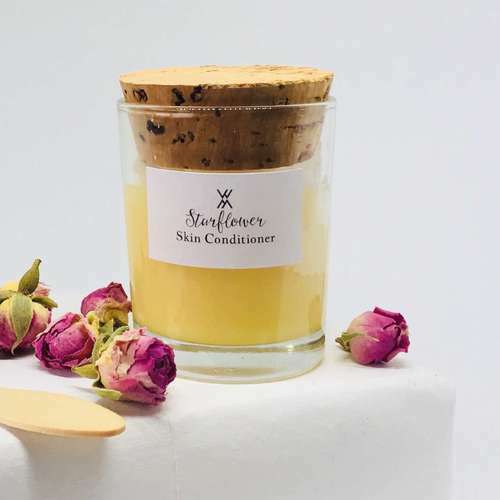 It comes in a clear glass Jar with cork lid and untreated wooden spoon, making this a lovely zero waste alternative to conventional bath salts. Product Packaging - Glass Jar, cork lid and wooden spoon. Inspired by her travels across the globe, particularly within India, Chloe created Moksa, which is a Sanskrit word that means liberation, bliss and inner peace. Moksa's natural and handcrafted skincare products are nourishing and promote self-care, allowing you to take some well-deserved me-time. Made in small batches in Devon, UK with natural ingredients, Moksa is the perfect addition to your ethical skincare routine.